It’s only Christmas when you share it! 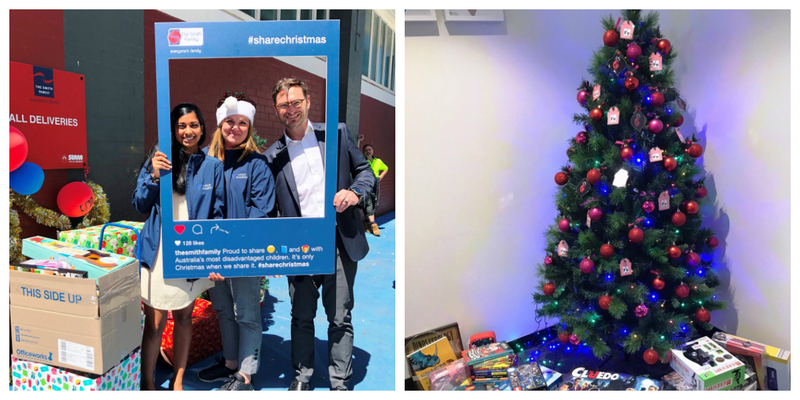 In the spirit of Christmas our team at Vifor Pharma Australia have decided to support The Smith Family, an Australian, independent non-profit children’s charity whose goal is to create opportunities for disadvantaged children and their families. Participating in “It’s only Christmas when you share it” Toy & Book Appeal was our opportunity to help bring a smile to a child’s face this Christmas. Collectively with much joy we donated generous amount of toys and books, providing gifts to children in need and allowing them to feel a sense of belonging during this festive season. After all its only Christmas when you share it. On Christmas eve 1922, five businessmen walked into a Sydney orphanage carrying armfuls of toys and sweets. They walked out inspired by a single goal: to improve the lives of disadvantaged children in Australia. When asked who the children could thank, one of the men, preferring to remain anonymous, said “Smith”. “What about the others?” the matron asked. “They’re Smiths too”, replied the man. “We’re all Smiths. We’re The Smith Family.” And so, The Smith Family was born. More than 90 years later, The Smith Family is still changing lives. Today, the company provides long-term support to children and young people in need through financial scholarships to cover essential education costs as well as mentoring and other programs, to help keep them engaged with their education. We wish you all Merry Christmas and a prosperous New Year!